Abdu Ali is an independent music artist, writer, and multimedia arts curator based in Baltimore. 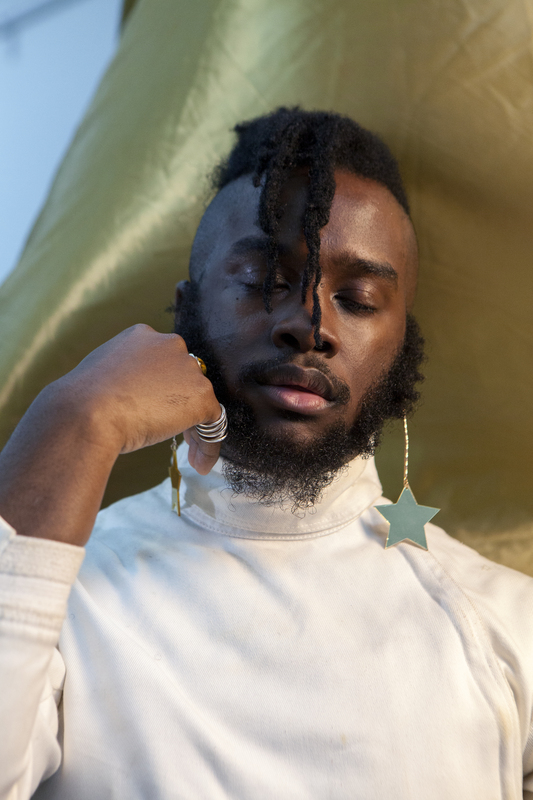 Ali has released five musical projects, all notable for their idiosyncratic blend of punk, futurism, jazz, Baltimore Club Music, and rap music, with lyrics yielding poetic uprise. Through their work as a rapper, curator, writings, and outspokenness via social media/interviews Ali, has been elected as a radical underground Baltimore music and cultural figure. Ali, was also the founder of Kahlon, an iconic underground party that radicalized the artistic climate and made space for marginalized musicians in Baltimore. Unapologetically black, gay, and queer, Abdu Ali’s work is bold, raw, and most importantly life-affirming. Ali has done several tours across the U.S. and Europe, and through their energetic visceral performances, spiritualizing audiences, their has been anointed as a cosmic, punk, and soulful tempest on stage. They have shared stages with notable music acts like the Sun Ra Arkestra, Mykki Blanco, Busdriver, Dan Deacon, Lower Dens, Blaqstarr, FKA TWIGS, and has been covered internationally by Complex, AfroPunk, Saint Heron, Noisey, The Fader, Mask Magazine, Subbacultcha, Les InRocks, Tracks Arte TV, and many more. Ali is working on an EP and a debut album, developing their new media co-op drumBOOTY, and now their performances are accompanied by drummer Josh Stokes.